Looking for products and services from reliable sources? Why not choose someone from our Industry Leaders Member Directory below. AXIS Sustainable Displays is committed to reducing the carbon footprint in the exhibition, shopfitting and event industries. 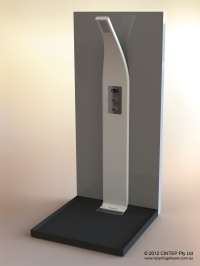 Our mission is to produce the most innovative exhibition stands and eco fitout solutions for our clients by working together and taking personal ownership for making a difference. In doing this we are committed to addressing sustainability throughout all of our design, construction and management operations. Projects reflect your commitment to sustainable practices and demonstrate CSR by actively utilising alternative, cost-effective solutions. By constantly tracking, measuring and improving these practices we aim to assist businesses in achieving their sustainability goals. Beth Lang is a Graphic Designer with eighteen years experience working in major advertising agencies in Brisbane and Adelaide. Now with her own business and growing client base she has a variety of skills ranging from logo design, print and press production to web page concepts and photo retouching. 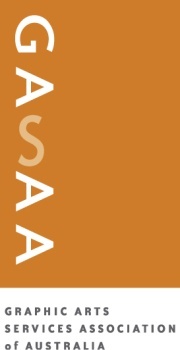 The Graphic Arts Services Association of Australia (GASAA) is an established business association for companies providing creative, multimedia, digital pre-press, data and print management services. Its mission is to provide excellence in service to members and representation of the graphic communications industry. The association maintains a database of over 6,000 graphic arts businesses and provides online information services directly to over 13,000 individuals working in education bodies, advertising and design agencies, multimedia outlets, output service bureaus, pre-press trade houses and digital print businesses. GASAA provides in the information technology area, particularly in the area of data management, storage and retrieval. Insight Communications is a boutique public relations consultancy providing specialised strategic communication services that build brand awareness and enhance perceptions and reputations for the not-for-profit, arts and entertainment, special event and corporate social responsibility sectors. We are committed to ethical practice and the delivery of excellence in communication management. Pollinate is a research company focused on communication and innovation. We're passionate about people. We are all about the spreadng of ideas and believe that putting people into the centre of fundamentally everything we do helps our clients to deliver: "The right message, to the right people at the right time and place". CORPORATE / CULTURE - Strategic communication - corporate partnership - sustained brand value - social responsibility. We work in communication strategy, corporate culture, reputation and social engagement. The projects and campaigns we lead, engage companies and brands with their collaborators, influencers, advocates and their markets. Our skill is in brand management, corporate & media relations, partnership development, project leadership, forums and events. Under the Sun is a web broadcast television experience focusing on ways we can all live healthier, more sustainable lifestyles. Based on groundbreaking research into the LOHAS (Lifestyles Of Health And Sustainability) audience, Under the Sun addresses the financial, transport, leisure, nutritional, energy, CSR, health & well-being needs of 120+ million LOHAS-aligned consumers globally. UnderTheSunTV.com currently offers several broadcast-quality channels based on these subject categories, with a Feature Documentary "Whatever Happened to the Revolution" currently in development. Presenters include Deni Hines, Andrew O'Sullivan & Karen Pini. We also specialise in producing independent projects that include live broadcasts and creating television, video and graphic content. ZOOiD provides consulting services in sustainability and integrated reporting, sustainability communications, and training in these areas. We utilise best practice reporting frameworks such as the Global Reporting Initiative (GRI) and the International Integrated Reporting Council's framework to help you understand the sustainability context of your business, what is material to your business and why. As Certified Trainers with the Global Reporting Initiative (GRI), we provide customised and open training on sustainability reporting, materiality, and stakeholder engagement using the GRI framework. As consultants, we write reports, ensuring that your messages are clear, consistent and representative of the way you do business. Our work with you helps to shape the value that you create for your business and stakeholders. CIINTEP make showers that use 70% less water and energy than conventional showers without reducing flow rate at the showerhead, water pressure, water temperature or the time you spend in the shower. We cut the environmental impact and the financial cost of showering without a reduction in enjoyment. IDscape design workplaces and facilities that are tailored through consultation to the needs of business and its occupants. Their work is thoughtful and intelligent with the outcome design-let, yet commercially focused. As a boutique agency the person who gets briefed on the job is the person who will designs the job; this intimacy makes them different from larger firms that have to depend on more abstract divisions of labour. With a focus on green design and workplace behavior IDscape offers socially sustainable solutions. Solar Dwellings is a unique design and construction service committed to building passive solar energy efficient homes in Western Australia. We design stylish individual and tailored homes which are functional, comfortable and affordable, then work with highly competent builders to construct the home. La Prima is a corporate entertainment, high end private function and concert opera company providing world-class opera performances for any event. La Prima Director, Alison Rae Jones has 18 years experience as an opera singer in Australia, Europe and the USA and is committed to promoting environmental responsibility within the Arts, Entertainment and Events Industries. Hire Intelligence is an award winning operator with over a decade of industry experience in providing computer and audiovisual solutions. They ensure reliable and efficient service with top brands and outstanding back up support a standard experience with Hire Intelligence. DEXUS is one of Australia's leading property groups specialising in owning, managing and developing superior quality office, industrial and retail properties, with total properties under management of more than $13 billion. In Australia, DEXUS is the market leader in office and industrial properties and, on behalf of third party clients, a leading manager and developer of shopping centres. ING Australia Ltd (ING Australia) is one of Australia's leading fund managers, life insurers and superannuation providers with more than $45 billion in assets under management. ING Australia is a joint venture between the global ING Group, which owns 51%, and one of Australia's major banks, ANZ, which owns 49%. National Australia Group is an international financial services organization that provides a comprehensive and integrated range of financial products and services. 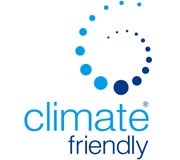 Since 2004, Climate FriendlyTM has helped its customers offset more than 120,000 tonnes of greenhouse gas emissions from their home, business, car, travel and other activities that use energy, while growing the renewable energy industry. We purchase only accredited GreenPower and renewable energy credits from new, renewable energy projects, the highest standard of emissions credits in Australia and internationally. For more information, see www.climatefriendly.com. Carbon Neutral is a not-for-profit carbon consultancy and offset provider. We assist clients to measure, reduce and offset greenhouse gas emissions. We're passionate about our native Australian landscape, and our focus is on developing biodiverse reforestation plantings and carbon sinks. In other words, we plant trees - over three million so far! Entente, is the world's first International Movement of Trust. Our sole focus is on bringing about a new awareness of the power and fragile nature if trust - enlightening, enabling and enriching the lives of others through the building and restoring of trust in businesses, homes and communities around the world. MapYou provides an innovative approach to community engagement and commercialisation of our personal or corporate cultural capital. The Map You Courses can be applied by organisations, communities or individuals - to engage stakeholders and create their sustainable future. This is a people-centric approach toward cultural asset development that can be applied to develop strategic and innovative outcomes for a specific area. This is appropriate to mining, tourism, local government, national parks and much more. 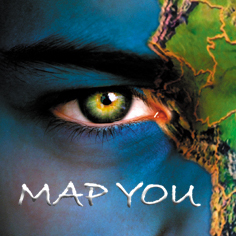 MapYou is the result of more than twenty years of professional practice and research undertaken by the MapYou founder Jennifer Joi Field. 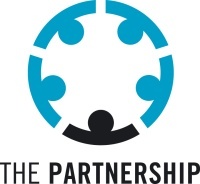 The Partnership specialises in the 'inner work' of sustainability. We assist you in the cultural transformation and leadership development required to become more sustainable and reap the benefits such as increased staff engagement, increased innovation, increased change readiness, improved customer and supplier relationships, improved ability to lead change effectively, and increased productivity. Our work is underpinned by research and extensive practical experience. Cavill + Co creates meaningful partnerships that benefit business and society.We consult to corporates to develop cause partnerships and offer experiential based learning for NPOs in how to create and manage corporate partnerships. This includes Masterclasses and the HeartSmart NPO Toolkit. Founder Hailey Cavill is a sought after speak and has appeared on The Gruen Transfer for her expertise on Cause Related Marketing. 360 Connect supports companies and organisations in developing effective relationships and sustainable outcomes with the communities in which they operate. We work on bringing communities together and help our clients lead the way in promoting social, economic and environmental benefits, whilst finding alignment with the activities, interests and goals of the business. MapYou also provides career mapping and mentoring. Accelerated Evolution are experts in the psychology of strategy and business transformation. We evolve your leadership's strategic thinking capability and facilitate you to formulate your strategy. We also review your organisational structures and systems for sustain-agility, and support you to implement new thinking and operating in your business. Cultural Shapeshifters work with leaders to generate transformation with organisations, groups and individuals to realise their dreams, weaving the pieces together to achieve sustainable alignment at all levels. We assist those we work with to create awareness, enhance dialogue and integrate different perspectives. Four Walls and A Roof is a leading provider of Education for Sustainability (Efs) curriculum, consulting services, and products for business, government, education and not-for profit institutions/organisations Australia-wide. FWR have launched and manage an eLearning, education and training facility (Virtual Classroom) through our Ecofacts Program. We can, for example, provide programs of EfS to local business aiming to develop a stronger Triple Bottom Line. With an understanding of industry requirements, eco-labelling standards and legislation, Sustainable Business Matters assists businesses with their sustainability practices, to include the implementation of Environmental Management Systems (EMS), Environmental Product certification, Sustainable Supply Chain (Green Procurement), CSR practices, Training, awareness, mentoring and communication. SFM is committed to ensuring a sustainable supply of seafood for future generations, so we support and encourage responsible fishing practices, environmentally responsible farming practices and responsible fisheries management based on rigorous and sound science. 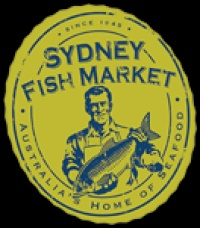 This commitment to the ongoing viability of the Australian seafood industry is brought to bear all along the supply chain, from purchasing quota for underutilised species and leasing it back to local fishers to the implementation of sourcing principles. These activities are backed by robust up- and down- chain traceability, to support species-specific sustainability and resource management, and assist in eliminating illegal fishing activity. Qld SIRF Sustainability Roundtable is a peer learning network that provides members with the opportunity to collaborate with other leaders in sustainability from some of Australia's top companies. Roundtables and Working Groups provide a safe and confidential space for members to share ideas about Sustainability Best Practice, opportunities for innovation and ways to implement sustainability and CSR across their company's operations. 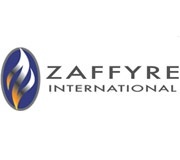 Zaffyre International is a strategic leadership and corporate transformation consultancy. Enabling leaders and organisations to envisage and achieve unprecedented levels of growth and success. Zaffyre International offers a powerful, directed process leading to the continuous achievement of exceptional results and returns. It is motivated for leaders who desire ground breaking strategic outcomes. The Australian Institute of Management is Australia's leading management association with over 30,000 individuals and 3,500 organisations as Members. For over 60 years, AIM has been providing managers and the business community with access to a unique and comprehensive range of services including education and training, speaker events, seminars, forums, a renowned bookshop and library, publications, online databases and resources. 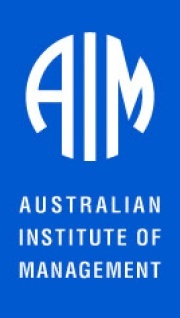 The Australian Institute of Management (AIM SA) is the largest private provider of management and leadership education in South Australia and is part of the AIM National network - the largest professional body for managers in Australia. From Certificate III (in Frontline Management), through to our MBA Program, we offer a unique approach to business via our learning pathway. In 2008 La Trobe University Graduate School of Management launched Australia's first Graduate Certificate in Corporate Responsibility, followed by the first full Master of Corporate Responsibility in 2010. The school was the first Victorian business school to sign the UN-backed Principles for Responsible Management Education. Primed Change Consulting was established in 2003 with the vision of interweaving the arts and organisational sciences to creat a uniquely engaging learning experience. We are change experts. We offer a 'made to measure' blend of consulting to bujild an organisation's capability in leadership, performance and indeed change management. SAI Global (ASX: SAI) provides organisation around the world with information services and solutions for manageing risk, achieving compliance and driving business improvement. Simple Synergy helps businesses build creative, sustainable and engaged teams. We provide one on one leader and team coaching services; training and facilitation workshops in different team skills such as managing conflict, idea generation and evaluation, communication, values based teams. The Wholistic Business Network champions inspiring environmentally & socially responsible solutions, inspiring you to take your life's work and mission into a response able community driven by our love of what we do, who we are and a desire to create and invest in a sustainable future. 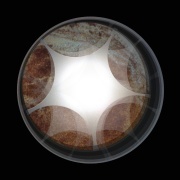 - Support in developing each members unique contribution and gifts. ZOOiD helps you to effectively report, market and communicate your sustainability driven activities, both within and outside your organisation. We are the first Global Reporting Initiative (GRI) Certified Training Partner in Australia and New Zealand, strengthening our capability to offer in-depth and practical sustainability expertise. The Climate Institute has a five-year goal of raising public awareness and debate about the dangers to Australia of global warming and to motivate the country to take positive action. The Climate institute is a non--partisan, independent group that works with community, business and government to drive innovative and effective climate change solutions. We research. We educate. We communicate. Environmental IQ ingrains environmental thinking into everyday decisions of Australian businesses, helping them to adapt to a low carbon economy, lower operating costs while enhancing their reputation and ability to recruit and retain the best people. We do this by assessing our clients current policies, programs and environmental impacts and then helping them to reduce those impacts over time while embedding environmental thinking into the way their do business. Greenfleet is an environmental charity. We encourage organisations and individuals to avoid and reduce the greenhouse gases they produce, then offset any remaining emissions by planting biodiverse native forests. With more than 10 years' experience planting forest sinks for carbon capture, Greenfleet exists to make a difference, not a profit. Independent Inspections provide a range of services to body corporate and building owners including: Sinking Fund forecasts, Safety Reports, Insurance Valuations, Tax Depreciation Schedules, Condition Reports, Asbestors Reports, Fire Audit Reports, Insurance Valuations, Tax Depreciation Schedules, Condition Reports, Asbestos Reports, Fire Audit Reports, Fire Training and Evacuation, Environmental Audit Reports and Services, Quality Assurance Audits and Services, Asset Registers, Resident Management Reports, Capital Replacement funds for Retirement Villages, Lot Entitlement Reports, also Carbon Emission Footprint Statements and Reporting Services. "With our thoughts we create the world." 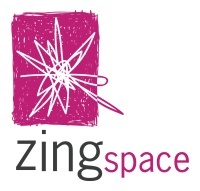 Zingspace is a holistic & multidisciplinary ecological design & project management practice. The philosophy of the Zingspace team is one of innovation, ecological integration and behavioral change; the cornerstones of Sustainability. Not being satisfied with the "business as usual" paradigm the Zingspace team works in partnership with clients that strive and demand newapproaches and different ways of doing business. Our holistic & multidisciplinary design process explores the whole range of ways that design can contribute to a more sustainable society. Our focus on nature's design process (biomimicry) can influence human-made design, what constitutes form and function, how beautyrelates to sustainable design and how co-design processes can lead to innovative solutions. Utilising the processes of "Thematic Communication & Collective Social Learning" we aim to design a balance for human interaction with the natural world. The National Institute for Governance, as a hub at the University of Canberra, aims to promote interdisciplinary and collaborative research in governance to deepen theory, advance knowledge and improve practice, in a way that is of significance to scholars and practitioners in Australia and Internationally. Emma Yates is a qualified Naturopath and corporate trainer. She travels throughout Australia and New Zealand empowering individuals by teaching them how to maintain optimal health and prevent chronic illness with diet, supplementation and lifestyle. The Human Rights and Equal Opportunity Commission (HREOC) is an independent statutory body established by federal legisation. HREOC's goal is to foster greater understanding and protection of human rights in Australia and to address the human rights concerns of a broad range of individuals and groups. With a passion for people, Redefinity provides Conflict Management services using Conflict Coaching and Mediation particularly in the workplace, and empowers leaders and managers through Executive Coaching. Having a cross-cultural, corporate and government experience, Lynora Brooke also facilitates teams to achieve desired outcomes and is experienced in facilitating community consultations. Affordable Legal incorporating Free-Range Lawyers are accessible, affordable alternative available anywhere and at any time lawyers. The collective expertise of the group, its extensive network and our wide range of contacts means we can provide up-to-the minute advice in almost any field. This includes writing contracts, registering IP, environmental issues, employment, taxation and government department compliance. Described as the new-age crop of the legal fraternity this group, with a penchant for long distance relationships, they are particularly keen to bridge the rural divide. Air your concerns or discuss a potential case in confidence today. Baker & McKenzie has been named the strongest global law firm brand in the 2014 Acritas' Global Elite Law Firm Brand Index. The Firm ranked top for all measures indexed and increased its lead over its nearest competitor to more than 60 percent. Pro bono & community service, in which we advance the fundamental rights of and opportunities for persons in need. Diversity & inclusion, in which we promote respect for and appreciation of different cultures and cultivate a diverse and inclusive workplace. Sustainability, in which we reduce, reuse and recycle the energy and natural resources necessary for our business, and collaborate with clients on environmental projects. Holding Redlich believe that law firms have a role in society which extends beyond providing legal services and generating fees. Through provision of pro bono legal services and other support they seek to contribute to the creation of a better, fairer society. 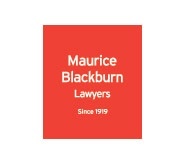 At Maurice Blackburn, we believe in honesty and fairness, a commitment to social justice and the rights of working people. As part of our social obligation to the community and our professional obligation as member of the legal profession, we are committee to making a positive difference through our Corporate Social Responsibility and Public interest Litigation Programs. Minter Ellison has been involved in the field of climate change law in Australia and New Zealand since the mid 1990s. Our international team of lawyers work with private and public sector clients to help them understand the legal risks and opportunities associated with climate change issues. Kusaga Athletic is a pioneer in sustainable fabrics. Our fabrics work across the apparel spectrum. We specialise in manufacturing sportswear and activewear, and in creating planet friendly clothing solutions for global and local brands, events and corporations. Proud to have created - The Greenest T-shirt on the Planet. 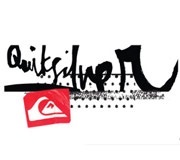 Harry Hodge has had a very succesful career founding Quiksilver Europe, a company which is now regarded as one of the most remarkable success stories in the surfing industry. Harry's passion for the environment and humanitarian causes led him to start the Quiksilver 'Environmental Initiative' in Europe. Today, amongst other things, Harry acts as a Director of the Quiksilver Foundation and as an international director of SurfAID, the surf industry's humanitarian agency of choice. Kimbely-Clark Australia & New Zealand is a subsidiary of the US-based Kimberly-Clark Corporation. We market innovative health and hygiene products that people come into contact with everyday. Our major consumer brands include Kleenex, Wondersoft, Viva, Thick & Thirsty, Huggies, Snugglers, Poise, Depend, Kotex and U by Kotex. Our professional brands for businesses include Scott, Costsaver, Kimcare, Wypass, Workforce and Kleenguard, while our health care brands include Kimguard, Tecnol, Evolution, Ballard and Safeskin. Our manufacturing facilities are located in New South Wales and South Australia at Millicent (tissue manufacturing); Tantanoola (pulp mill); Ingleburn (nappies); and Albury (nonwoven fabrics). Kimberly-Clark Australia employs over 1650 people and has annual sales revenue of approximately $1 billion. Precise are an independent specialist in analysis of below-the-line marketing. As a new communications era unfolds, success requires new tools. Precise brings proven analytical tools to CSR, events and PR. Our work delivers quantified ROI for communications activity, taking the guesswork out of costly decisions. 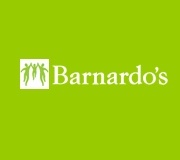 Barnados is Australia's leading child welfare agency. Through a diverse range of integrated welfare programs and services Barnados is committed to helping protect the lives of thousands of Australian children and young people who suffer the traumas of neglect and abuse and the humiliation of poverty and homelessness. The Foundation for Young Australians is an independent national grant-making organisation, funding and working in partnership with youth-led initiatives which aim to positively contribute to young people and their communities. Our Vision is 'Communities celebrating and strenghtening young people'. World Vision is Australia's largest overseas aid and humanitarian organisation. As well as providing relief in emergency sitations, World Vision develops collaborative relationships to assist long-term development with poor, marginalised people and communities to improve their lives and take control of their futures. Western Power is responsible for the safe, reliable and efficient distribution and transmission of electricity in the south west of Western Australia, including the Perth Metropolitan area. We connect electricity to homes, offices and factories, and maintain and upgrade the electricity network. LivingNow is Australia's largest holistic magazine, offering a free edition for each of Qld, NSW, WA and Vic. We also publish an extended version which we sell in newsagencies in the above states plus SA. We aim to inspire, nuture, inform and empower our almost half a million readers monthly. QER is an integrated resources and energy company committed to the sustainable development of a shale to liquids industry in Australia. We recognise that resource development must meet the needs of current generations, without compromising or limiting opportunities for future generations. Mobium Group is a strategic consultancy providing market insights to business about issues of sustainability, technology, health and well-being. Mobium Group is a research and strategy consultancy specialising in sustainability, technology, health and well being. 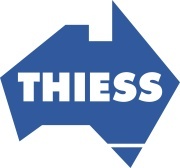 They conduct client-specific consumer and stakeholder research and publich a series of reports into the Australian consumer markets for healthier, more sustainable products and services including Green Tracker and Living LOHAS. and well being ingredients for enhanced healthy eating. SAI Global provides third party audit and certification services to a range of programs based on Australian and International Standards. These include: ISO 14001, Environmental Management Systems, Greenhouse Gas Verification - Carbon Managed and Carbon Neutral, OHS Management Systems and ISO 9001 Quality Management Systems. Companies certified through SAI Global are able to display the "Five Ticks" StandardsMarkTM to let their customers and stakeholders know that their system meets the requirements. SAI Global also distributes Australian and International Standards, offer training programs for Environmental and Greenhouse Gas Management and provide Corporate Governance, Risk Management and Compliance Solutions. Interest in Corporate Community Engagement, Investment and Cause Related Marketing. NRMA Motoring & Services has over 2 million members in NSW/ACT and an 80 year history of supporting motorists and our community. Along with roadside assistance, we provide members with a range of services including travel bookings/accommodation, car servicing, driving lessons and technical advice.